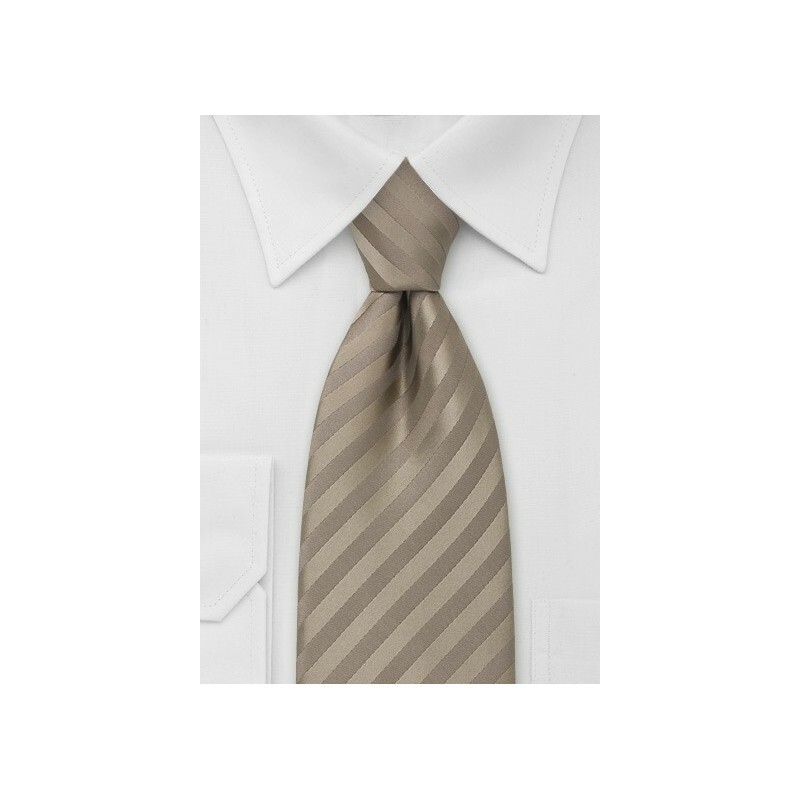 This light-brown necktie gives off a classy golden shine that is complimented by a single colored striping pattern. The stripes are created by switching the weaving direction of one single-color yarn - similar to the look of freshly cut football field. This tie is made from a care-free microfiber. 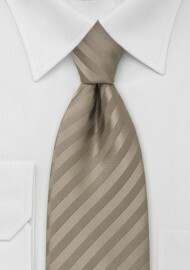 It is a fabric that is much more resistant to stains and wrinkles, but nevertheless has excellent shine and soft feel. Please note that this tie is made in longer length especially for big & tall men.